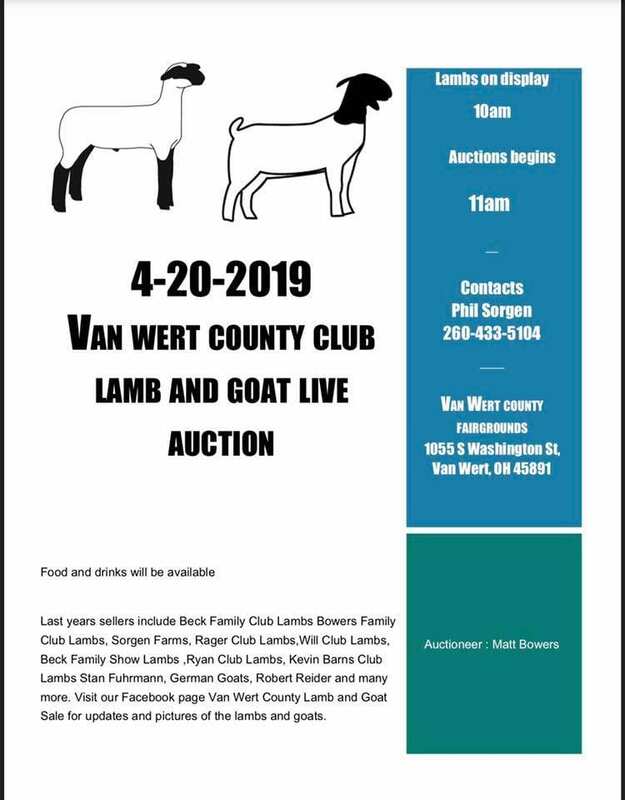 Van Wert County will be having a live lamb and goat auction on Saturday, April 20th. Please see more details below. 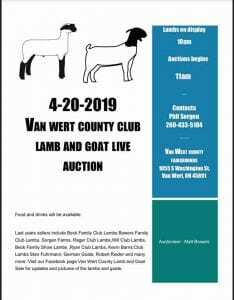 Posted in 4-H, Livestock	Bookmark the permalink.